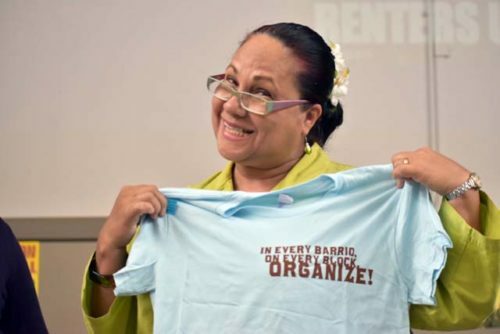 The first-ever Excelsior Tenant Convention took place June 3 with a strong community presence of folks concerned and motivated to exert their rights as renters. The day opened up with inspiring music from musician activist Francisco Herrera who sang about the protagonism in organizing. Sponsored by Causa Justa, the San Francisco Tenants Union, the Housing Rights Committee of San Francisco and other Mission based community organizations, the tenant convention was one of many taking place around the city of San Francisco, including the Mission, Castro-Noe, Excelsior, Western Addition and South of Market. The Excelsior district of San Francisco is now in the cross-hairs of developers and some landlords who see the old-school family friendly district as nothing more than a goldmine for their luxury housing plans and a way to force long-time tenants out to bring in a new type of renter willing to pay exhorbitant rents. 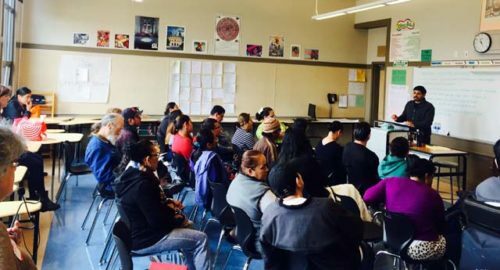 Causa Justa’s Carmen Figuroa and Araceli Catalán leading Know Your Rights workshop. 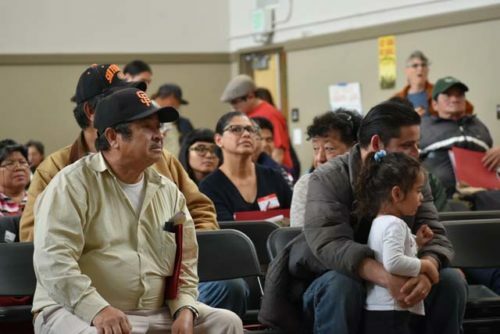 Our counselors are reporting an upswing in Owner Move-In and Costa Hawkins evictions as can be verified through the work of the SF Anti-Eviction Project which shows a surge of Owner Move-in and Relative Move-in evictions. Fortunately, through the strong organizing of local groups, renters are realizing they have the tools to fight back against these claims. Organizers grounded participants in the local and regional housing landscape, and the work of national group, Right to the City, (RTTC) formed in 2007 in response to gentrification and united in a call to stop the displacement of low-income people, people of color, marginalized LGBTQ communities, and youths of color. 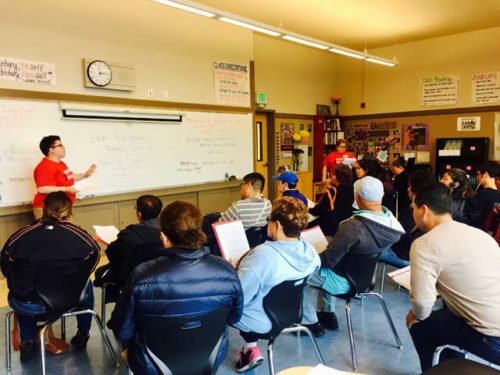 RTTC and Homes For All (a campaign of RTTC) has been holding a series of national webinars on the housing crisis and ways to fight back tying in deportations and evictions and the national landscape. The next one is June 15 and will talk about the State of Gentrification National Townhall. Don’t miss it. 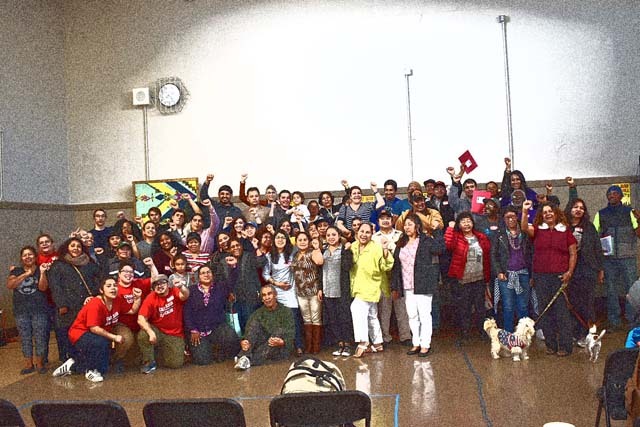 A room full of renter-organizers, committed to participate in the fall Renter Power tenant convention in September and to fight hard to pull down one of the most notorious laws for renters, Costa Hawkins. La Raza Centro Legal Carlos Bocanegra talking about tenant rights and protections in San Francisco. Two sessions of workshops were held from financial well being and building and managing credit; to local and state laws for dignified housing hosted by La Raza Centro Legal; to immigrant rights, and knowing your rights in boarding houses, hosted by Causa Justa; and ways to build a better neighborhoods through organizing by PODER and the Filipino Community Center. In addition, workshops offered homeless prevention services and housing sources; mental health and well being where folks learned about meditation and other methods to deal with stress. Each session was filled with folks eager to fortify themselves with knowledge. In every barrio, on every city block ORGANIZE! Supporters and sponsors included PODER, Bay Resistance, Hamilton Families, Mission Asset Fund, La Raza Centro Legal, Leadership High School, Compass Family Services, Mission SRO Collaborative, Filipino Community Center, Regional Tenant Organizing and San Francisco Department of Public Health. 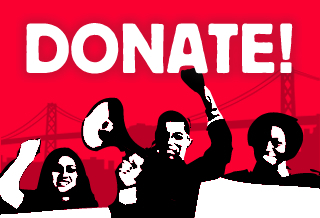 < Budget for the People on Both Sides of the Bay!